In his New Year Address, Uganda’s President Yoweri Museveni issued a warning to anyone who sought to “destabilise” the country and asserted that “indiscipline” would not be tolerated. The criminalisation of protest is nothing new in the country where opposition to Museveni’s rule has been met with violence and where individuals who criticise the state have been severely punished. Ugandan feminist scholar and activist Stella Nyanzi, who was accused of insulting Uganda’s President Yoweri Museveni, and was charged with “cyber harassment and offensive communication”, has been in jail since 2 November 2018. Before her arrest, Nyanzi formed part of a campaign to educate the Ugandan police about gender and the need to protect, rather than violate, women’s rights. The way in which Nyanzi herself has been treated in prison only confirms the critical need for this work. Nyanzi appeared at the High Court in Kampala on 9 January 2019 and told the court that she suffered a miscarriage while incarcerated in Luzira Prison. Her application to the court that she be released on medical grounds has been denied. Her lawyer, Isaac Semakadde, has said that the ruling was made in spite of the fact that Nyanzi has made a report of torture. On 22 December 2018, 47 staff members, including Nyanzi, were dismissed from their posts at Makerere University. While it is unclear whether or not all the dismissals were politically motivated, the purge serves to punish those who have drawn attention to nepotism and corruption at Makerere. On 5 January 2019, a group of concerned staff members delivered a 77-page petition to the Ugandan Parliament calling for an investigation into high-level corruption at the university. In tune with the President’s new year address, Makerere’s Vice-Chancellor Barnabas Nawangwe has termed this petition a sign of ‘indiscipline’. “Indiscipline” is an elastic term that seems to encompass any resistance to authoritarianism. 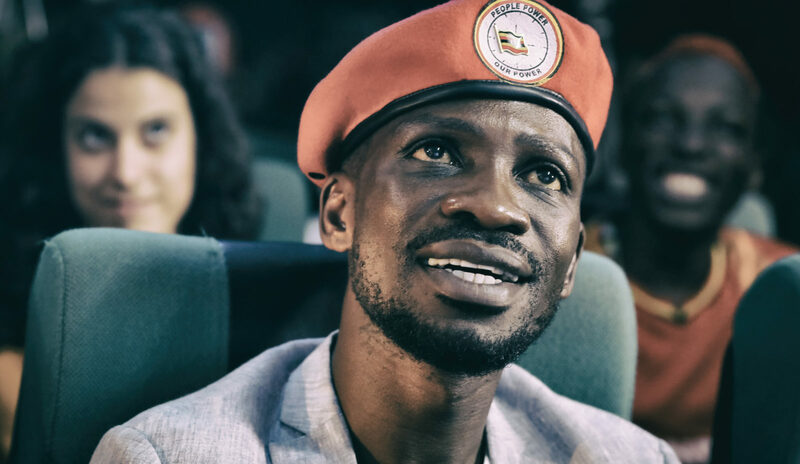 In August 2018 Robert Kyagulanyi Ssentamu, best known as Bobi Wine, a popular musician and political leader, was taken into custody after allegedly participating in a protest in which Museveni’s cavalcade was pelted with stones in Arua, a town roughly 500 kilometres from Kampala. Along with opposition leader Kassiano Wadri, Wine and more than 30 other people were accused of treason and were beaten and tortured in detention by the Special Forces Command. Wadri won the Arua municipality by-election and was in prison when the results were announced. Earlier this year, Wine was invited to speak to the UK parliament as part of a debate led by Labour MP Dr Paul Williams about the state of democracy in Uganda, but was forced to cancel the trip so that he could appear in the Magistrate’s Court where the hearings for his trial for treason have just begun. Bobi Wine’s song Tuliyambala Engule, released on 31 December 2018, is an impassioned call for Ugandans to rise up against oppression and to get National Identity Cards in order to vote for “People Power”. The song includes the lines “when the struggle is over/ we shall wear the victor’s crown/ when tear gas is over/ we shall wear the victor’s crown/ when dictatorship is over/ we shall wear the victor’s crown” and includes a quote by Nelson Mandela, implicitly linking the struggle against apartheid in South Africa with the struggle to overthrow the authoritarian rule of Museveni. Ugandan police shut down Wine’s concert on 26 December and used tear gas and water cannon to disperse the audience who had gathered for the concert. In spite of this, Wine’s music video has been viewed over 500,000 times in less than two weeks. A photograph of Bobi Wine standing with his arms outstretched before the armoured vehicles in the area where his concert was to have taken place provides an indication of what those who protest against the militarised Ugandan state are up against. Uganda receives more than $800-million in military aid from the United States each year, ostensibly to support the country’s peace-keeping forces in the region. In an interview with Al Jazeera Wine speaks of how these funds are also used to oppress the citizens of Uganda and notes that the weapon that was used in what was most likely an attempt on his life, which resulted in the death of his driver, was an American gun.